Home is where the heart is so when there is a new bundle of joy on the horizon parents need to take some time to think through how best to furnish their home. When considering what is suitable both for a new arrival and the knowledge that babies quickly become toddlers, the first aspect to be considered is safety. Although there are specific items that need to be purchased for a newborn, children will continue to grow. Parents need to look to the future when working out what the most appropriate way of furnishing their house is. Parents may well have differing views as to how a house should be furnished. There may be differences of opinion about colors and styles, shapes and sizes, so the first thing to do is to sit down together and plan the process. There will be a number of essentials to start with, such as a cot, high chair and playpen, followed by beds, tables, chairs and sofas as necessities. Before rushing out to buy, parents should come to an agreement as to what will suit best, both for the short and long term. A common mistake is to buy furniture that is too big for the spaces available. A large, three-piece suite may be desirable, but dimensions of rooms and furniture should be checked before making decisions. With safety uppermost in the mind, parents will want furniture for the babies and toddlers that will protect them. Cots should not have gaps between bars or panels that are wide enough so that a baby could get its head, legs or arms stuck. Equally there should be no other holes or gaps that could present the same danger. They should be sturdy, especially as toddlers can be stronger than a fond parent thinks, and if they have locking brakes that is an additional, useful safety measure. High chairs should be sturdy, unable to be rocked and designed so they are easy to clean. Trays need to be firmly fixed so the child can’t remove them. Playpens, like cots, should have bars spaced so a child cannot get its head stuck between them. When choosing other furniture it’s worth bearing in mind that children grow up and the furniture initially bought with adults in mind will get much more hard use. It’s tempting to go for the cheapest option when buying sofas and armchairs but it’s not always the best way forward. Cheap furniture will wear out quickly, especially given the attentions of exuberant children, so there are costs to replace it. 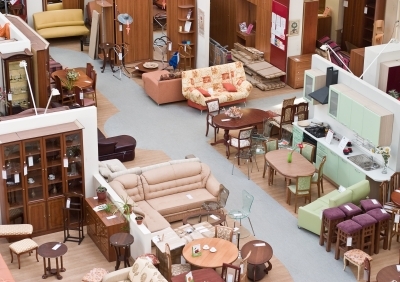 Choosing hardwearing furniture that will last for many years is a much more cost-effective option, even though the initial expenditure may appear high. It’s an investment that will pay off as the family grows up. The ecology benefits if items do not have to be replaced regularly, saving energy and materials. There is a growing trend for buying eco-friendly furniture, and an extending dining table made from reclaimed wood will suit a growing family and help the environment. Image courtesy of supertrooper / FreeDigitalPhotos.net. Has Your Child's School Copy Machine Caught Global Warming Disease?